SACRAMENTO — President Trump threatened Wednesday to withhold money to help California cope with wildfires a day after new Gov. Gavin Newsom asked him to double the federal investment in forest management. Trump once again suggested on Twitter that poor forest management is to blame for California's deadly wildfires and said he's ordered the Federal Emergency Management Agency to stop giving the state money "unless they get their act together." FEMA could not immediately respond with a comment because of the government shutdown. Trump has previously threatened to withhold wildfire payments but never followed through. Newsom, a Democrat who took office Monday, said Californians affected by wildfires "should not be victims to partisan bickering." 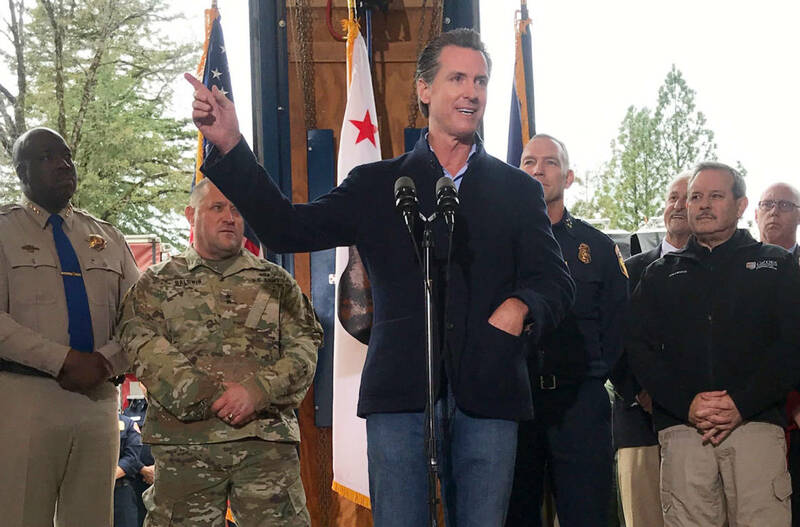 Newsom responded to Trump's tweet on Wednesday with his own, saying "disasters and recovery are no time for politics." Trump's tweet came a day after Newsom and Govs. Jay Inslee and Kate Brown of Washington and Oregon, respectively, sent a letter to the president asking him to double federal funding for forest management. More than half of California's forests are managed by the federal government, and the letter noted the U.S. Forest Service's budget has steadily decreased since 2016. "Our significant state-level efforts will not be as effective without a similar commitment to increased wildland management by you, our federal partners," the letter read. In November, the deadliest and most destructive U.S. wildfire in a century leveled the California town of Paradise, killing 86 people and destroying more than 14,000 homes. 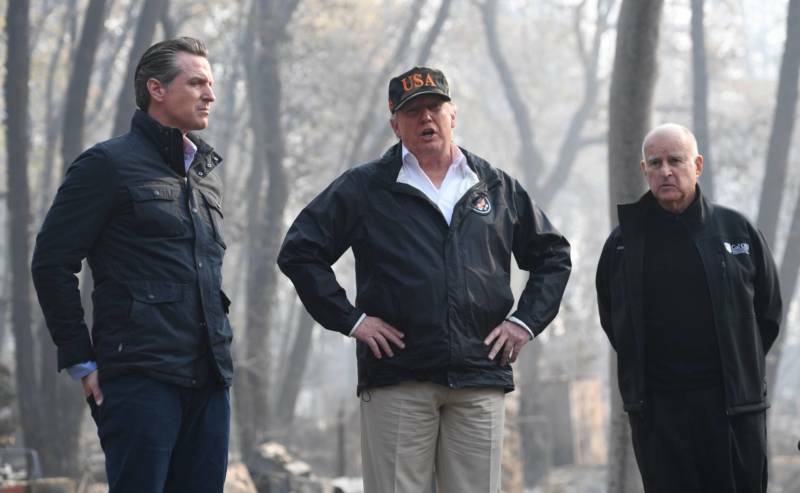 Trump toured the fire devastation with then-Lt. Gov. Newsom and then-Gov. Jerry Brown on Nov. 17. Other California Democratic lawmakers condemned Trump's tweet. House Speaker Nancy Pelosi responded, saying "Trump's threat insults the memory of scores of Americans who perished in wildfires last year & thousands more who lost their homes." California Sen. Dianne Feinstein also responded, saying "It’s absolutely shocking for President Trump to suggest he would deny disaster assistance to the victims. This empty threat is based on groundless complaints, and candidly isn’t worth the time of day." Sen. Kamala Harris blasted Trump, saying "Californians endured the deadliest wildfire in our state’s history last year. We should work together to mitigate these fires by combating climate change, not play politics by threatening to withhold money from survivors of a deadly natural disaster."